The all new Hibba wooden rocking snail. WE KNOW YOU WILL FALL IN LOVE WITH THIS WHEN YOU OPEN THE BOX - THAT WE CAN GUARANTEE !! Now this is something very unusual and special. 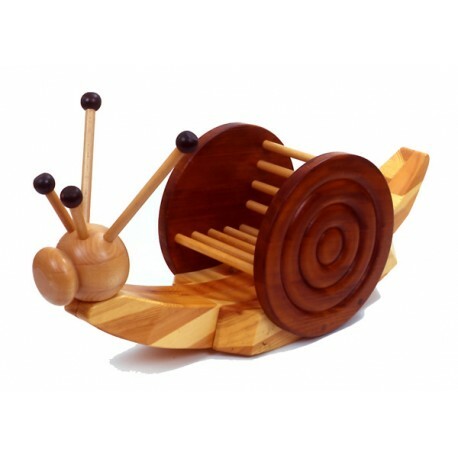 You have probably never seen any other rocking toy as distinctive and beautiful as Brian, our rocking snail. Absolutely stunning in its unique design, superior quality and character. We know it will delight your little one and be a piece of furniture in your home. Crafted solely by hand by our master craftsman in Wales, who is a member of the British Toymakers Guild, this rocking wooden bike has been finished to an exceedingly high specification. The wood used is a combination of alder, beech and birch, and is from sustainable resources, supplied by the Welsh Forestry Commission. 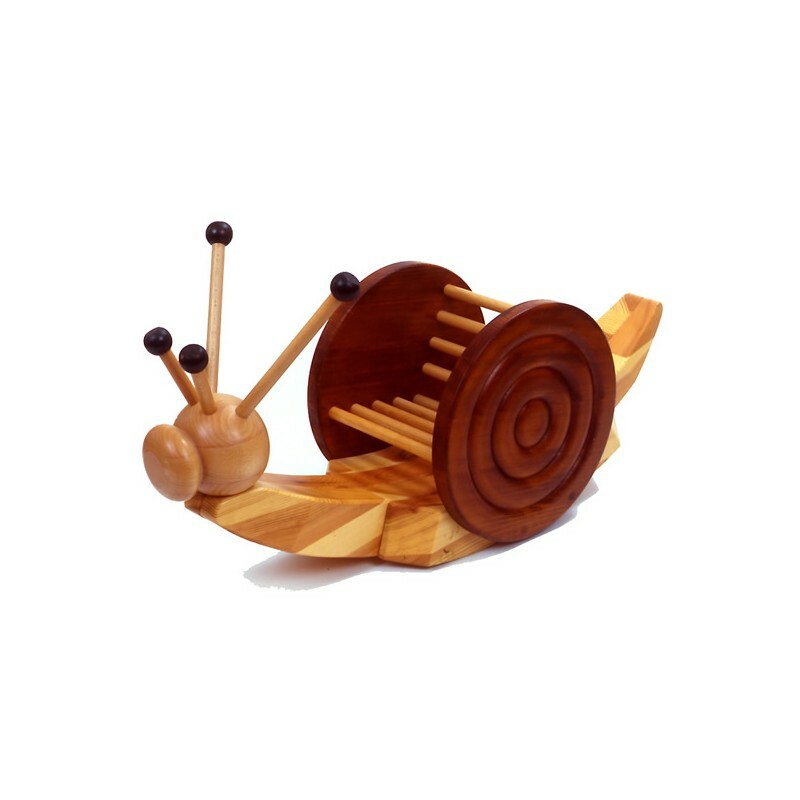 The snail’s 'shell' has been stained and lacquered to give a lovely soft sheen finish together with a contrasted look and the seat has been designed to hold your toddler comfortably while it gently rocks. Brian’s 'Antennae' are the handles, and the seat can be used for the older baby to watch TV if supervised by an adult. We are confident that your child will become best friends with Brian and this is set to become a lifetime investment and a family heirloom for years to come! Dimensions: 110cm length, 34cm wide, 56cm overall height.